An exquisite mix of traditional Laotian and European colonial style, the 34 rooms of Belmond La Résidence Phou Vao promote complete calmness and serenity. In such peaceful surroundings, and with a little help from the hotel’s Mekong Spa, you’ll forget about the stresses of home and relax into your new found heaven. Positioned in the north of landlocked Laos, Belmond La Résidence Phou Vao lies at the confluence of the Mekong and Narn Karn rivers, up on Phou Vao hill. Just a ten-minute drive from Luang Prabang International Airport, you’ll feel entirely secluded surrounded by the palms and coconut trees which make up the jungle. A short distance from Luang Prabang, a UNESCO world heritage site, you’ll be able to enjoy the local historic and cultural landmarks from the former royal palace to the town’s oldest Buddhist monastery, Vat Xieng Toung. Whilst you’re there, we recommend taking a sunset cruise down the Mekong river on a traditional boat. You’ll float past the Si Moung Khourn temple and the Tharn temple cave, all culminating at the top of Chornpet hill overlooking Luang Prabang for breathtaking views. The rosewood furnishings and rich cotton fabrics make Belmond La Résidence Phou Vao’s rooms and suites truly luxurious. 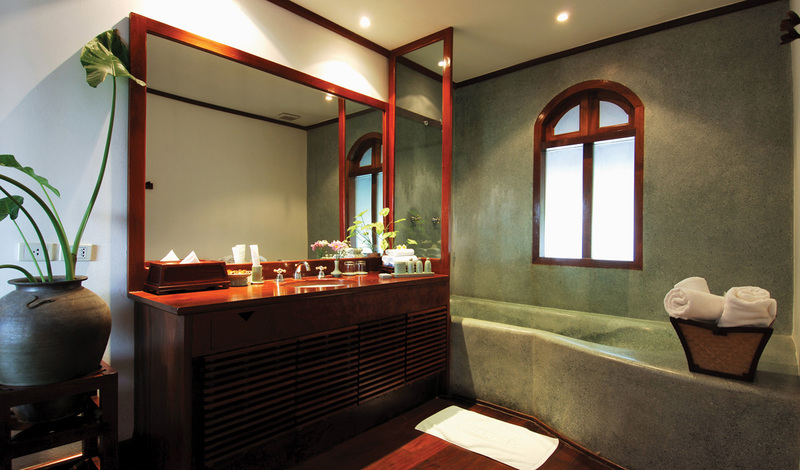 All drenched in natural light you can walk straight from your room into the exotic gardens or onto a private terrace. 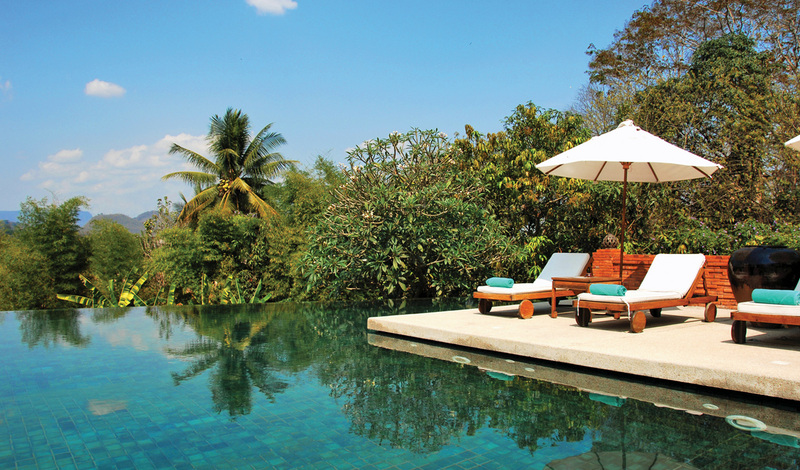 Flop down onto your king-sized bed or head out to the infinity pool perched on the cliff edge and unwind. Belmond La Résidence Phou Vao is the perfect little hideaway with its boutique spa and French-Laotian fusion restaurant, but what really sets it apart, we think, are the phenomenal views which stretch far into the distance and in all directions. Take in the hazy silhouetted mountains, the town of Luang Prabang, Phousi temple and the tropical valleys dotted with glittering golden pagodas.